This is all old thinking. 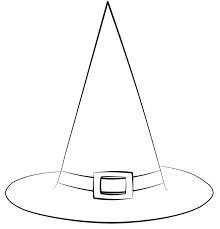 I no longer give my food impulses power with titles like Witching Hour, intended make me feel too weak to overcome a sudden craving and therefore, helpless to prevent them from happening. 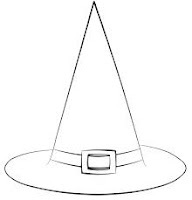 But this post is not about that Witching Hour. It is about a book. Although I enjoyed the movie Interview with a Vampire many years ago. I have never felt drawn to reading any of Anne Rice's books. No particular reason. 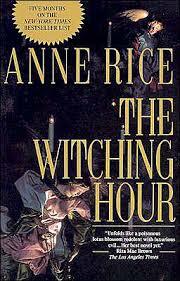 I just finished reading The Witching Hour by Anne Rice​. 960+ pages. I picked it up at the Starbucks lending library in Winter Park, Florida two months ago. I had some time to sit with a coffee and I picked up a book from the lending basket and starting reading, not expecting to get more than two pages in before I would return the book to the basket and leave with my coffee. I ended up reading the first 25 pages and taking the book home. I lost interest around page 100 and decided to give it another 100 pages and then decide if I wanted to invest anymore time in the book. I read maybe two pages a day until last week when around page 250 when the story sucked me back in. I have read it voraciously for the past week, finishing it today. The ending left me sad and lacking closure. I went on the Internet and found Anne Rice has a site (doesn't everyone have a site now?) and was quickly able to see that yes, there are two more books in this series. I will be getting them soon. While I was there I looked around a little bit and found that some characters in this series (the Mayfair Witches) appear in some of her Vampire Series of books. I will probably have to get those, too. Damn. Be careful of the books you pick up in lending libraries. They can make you hungry for others. Anyway, I am food sober and doing what I can to stay food sober another day. I've had my ebbs and flows these past few months. I am on strong footing again. Getting imaginary gold stars from my therapist, mentors and spouse. Just got sucked into Grey's Anatomy. Luckily I do not eat while I watch TV. Very glad to hear from you. Congratulations on your continued food sobriety, your strength, your courage. Add another virtual gold star to your cap. I picked up a copy of the Steve Jobs biography and the Astronaut's wives club to read in my vanpool. Nice to have books in my hands. I don't watch medical shows anymore - part of my recovery from being a hypochondriac. LOL However I do watch the first and last episode each year from Grey's and I found it was enough. My daughter fills in any holes in the plots for me. Karen - total transparency: my food sobriety has included breaks these past few years and that includes earlier this month. I am back in the best possible place now and hopefully will dig a deep enough groove to remain there (and take off the additional weight). One day at a time. I have now read the second book in this series of three, Lasher. Now I give up. This book was creepy. I dislike the pedophilia part of this story line. There is an ending to the main plot and that is enough for me. I read a synopsis and reviews of the final book and I would not be happy if I read it. I will save those hours of my life and apply them to something else. I don't know yet if I will try any books in the Vampire series. August update before the calendar changes? Have not started with any Vampire books yet, Vickie. Too busy at work right now. I am about to be short staffed and we are just getting ready to hit our busy season. It is going to be interesting.